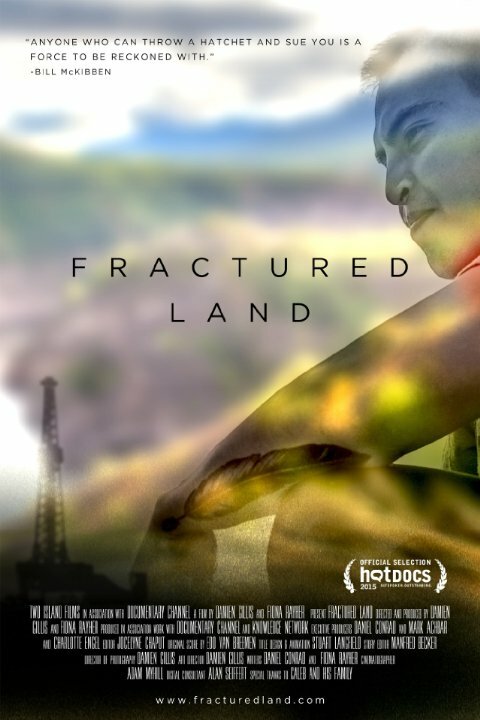 After premiering at Hot Docs, and becoming a top ten finalist for the Audience Award, Fractured Land is starting a limited run at the Bloor Hot Docs Cinema this weekend, tickets and showtimes can be found right here. “Anyone who can throw a hatchet and sue you is a force to be reckoned with,” author Bill McKibbon says of young indigenous hunter and environmental activist Caleb Behn in Fractured Land, and the documentary makes it clear that this is absolutely true. Swayed by the fact that some of the world’s largest fracking operations reside on Native land in British Columbia, Caleb is studying to be a lawyer, and his goal is to legally challenge the sleazy oil companies and Canadian government, who continue to cheat the mostly poor communities out of their land in order to ravage our natural gas resources. Although the fracking process is directly causing earthquakes and leaving behind toxic chemicals that are polluting their water supply, leading to birth defects and higher rates of cancer, corporate greed is a bigger motivator for the politicians actually making these decisions. Caleb Behin is indeed a force to be reckoned with for vocally standing up to these corporations, but what also makes him such a compelling subject are his emotional struggles between modern ideas and the laws of the natural world, with his father being a environmental activist and his mother working for the same oil industry he protests. Powerfully capturing the internal conflicts that reside within all of us, Fractured Land offers an articulate and impressively nuanced look at the absolutely devastating environmental effects of fracking and pipelines, as well as the job opportunities that compel so many in the communities to support oil and natural gas industries. This is an empowering call to action, that ignites a vitally important conversation about some of the most pressing issues of our time, and should be required viewing because of it. It should be noted that this documentary takes place during the Harper era, but with fracking still going on in this country and the National Energy Board trying to push through the Kinder Morgan pipeline despite heavy protest from the indigenous communities it will directly affect, I find it hard to believe Justin “Prime Minister Selfie” Trudeau will be much better for the environment. And this is exactly why we need powerful activists like Caleb Behn and films like Fractured Land to help drive home the message that in order to protect the environment, we need to keep fossil fuels in the ground.